Cookie Dough Topping - 10 lb. 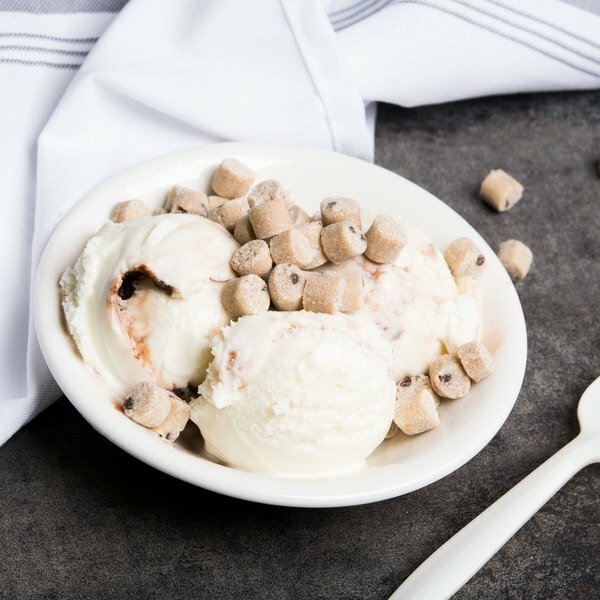 Your customers love cookie dough and ice cream, so why not combine them both into one deliciously sweet treat with this cookie dough topping! This topping features small, bite-sized cookie dough squares. It has a vanilla and chocolate taste and soft, doughy texture. Sprinkle this cookie dough topping on ice cream or blend them into a rich and creamy milkshake. Plus, you'll be able to save preparation time chopping up the pieces yourself. 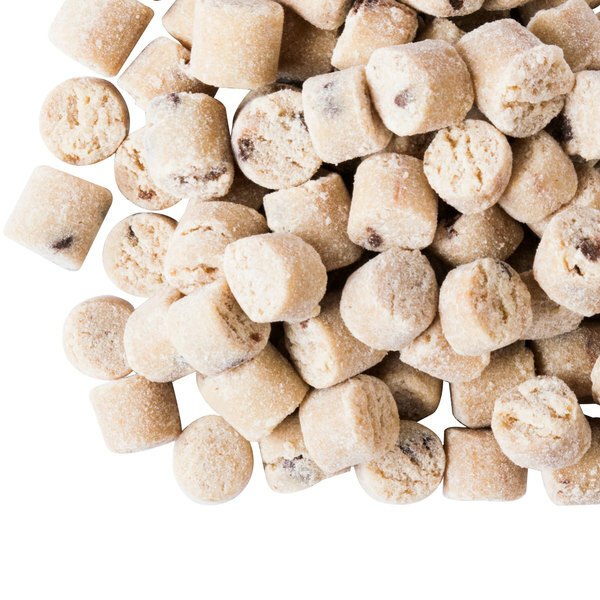 Whether you're creating decadent ice cream sundaes or other sweet treats, you'll find plenty of uses for this bulk supply of cookie dough topping. You can even use it as a sweet garnish for frosted cupcakes. 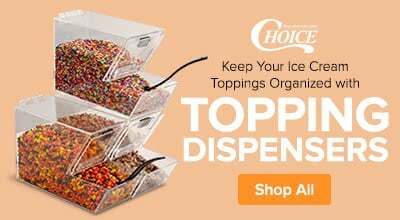 Include it in your self serve ice cream or frozen yogurt bar, and your customers will love choosing their favorite toppings. 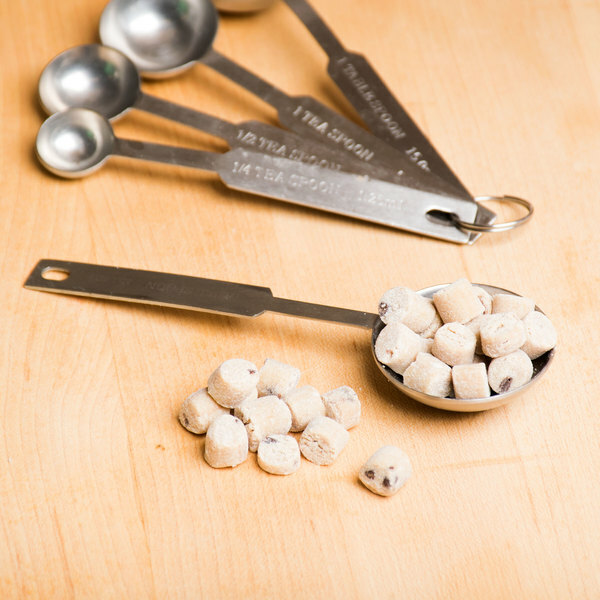 Stock your business with the best-tasting toppings, including this cookie dough topping. Overall User Rating: Cookie Dough Topping - 10 lb. wow these cookie dough toppings are so good! I buy these all the time to add into my vanilla ice cream. I've bought other brands before and they have had a weird chalky taste but this one does not. they taste just as good as the ones I have been getting from my distributor. I will be ordering these from now on. I do recommend and love how small they are! Who doesn't love cookie dough! I use these to top ice cream and everybody loves them! We got a lot of compliments on the cookie dough. they are chewy in a good way, they aren't chalky like some of the other brands. This product tastes like you didn't really try at all. Although it is shelf stable and that is super important when you don't have much refrigeration it is not worth the fact that it tastes funky. My customers won't buy my cookie dough ice cream if i use this product in it. I love these cookie dough toppings. I use them in my homemade fudge that I make and people love them I will definitely buy them again. 10 pounds of cookie dough topping is way more than I was thinking it would be and my customers love them. They even work well with baking them inside cheesecake which is definitely a plus in my book. The cookie dough topping is great and very delicious. They are great for snacking on and fun to mix into trail mixes and ice cream. These go great on top of our peanut butter cookie dough cupcakes! They store well and also can be left at room temperature with is a huge bonus. Great quality cookie dough bites! These go perfect on our toppings bar for our ice cream. There isn’t any eggs in them which makes the even better. We love that they are bite size and smaller than our local companies cookie dough for our younger customers. Product held up well and sold well with customers. I however didn't think it had a taste; pretty bland. Good way to have a safe cookie dough product . Great flavor and just the right bite size! My customers love it mixed in with ice cream flurries. Especially when mixed with chocolate soft serve! A great topping for our Cookie Monster shakes and ice cream toppings. These are so good that our customers are requesting that we sell them on our candy wall. Best tasting cookie dough bites! They are a tiny enough size for small children to eat and not worry about them choking easily! They crumble easily too! We love using these on our toppings bar in our store for our frozen yogurt! I have to say this is the only product I have not been 100% satisfied with. I feel like the cookie dough is not as tasty as I thought it would be, It is a little better when it is put in ice cream. To me it tastes a little fruity. These are perfect for making flurries, small and bite size, taste is good and price is right so I would purchase these again for sure. We love the cookie dough bites for our home based cheesecake business! They’re easy to measure and stay intact when used in our creamy recipe. These cookie dough toppings are AMAZING! I can’t stop eating them plain. I use them as add ins while packing or to finish off my sweet treat! I love this cookie dough topping and so do a lot of my customers. 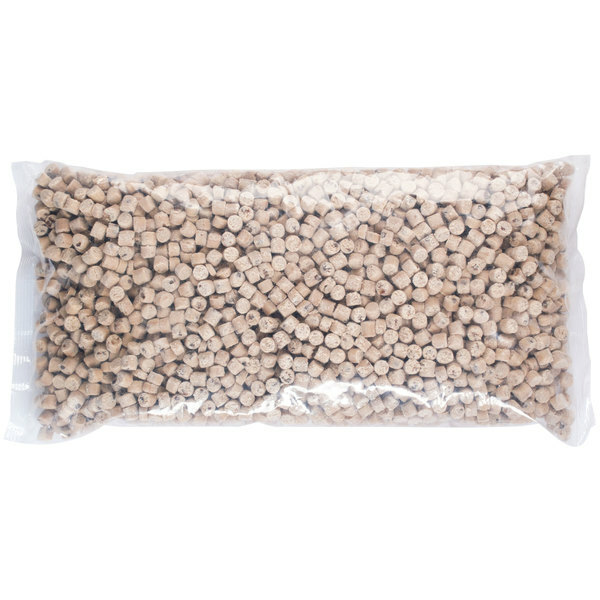 It is easily one of the best selling toppings that we currently offer. Looks like dog food, but tastes absolutely amazing. Customers love it, makes for great shakes, we went through 5lbs of this stuff very fast, definitely will be reordering soon! I love making homemade cookie dough ice cream and these pieces are great and such a nice quality. The cookie dough bites tastes great and keep really well. Saves us a lot of prep time. A wonderful topping for ice cream or frozen yogurt that everyone will enjoy. The cookie dough is a great topping. I love the wonderful taste and its great in ice cream. Love these little cookie dough bites! We use them as a little extra ingredient in our baking. Great price, super fast shipping - will definitely keep these in our inventory! First off this cookie dough topping is super tasty! It comes in two nice sized bags, and we use it to make chocloate chip cookie dough ice cream. Super tasty! The absolute best tasting cookie dough! Most are bigger chunks, where this one is smaller. With this cookie dough there is no need to roll it in flour to keep it from sticking. True to taste and an A+ product with a true doughy and chocolate taste. A bit smaller than previous cookie dough bites we have ordered as toppings for our ice cream, however, they are packed full of flavor and have gotten wonderful reviews from family and friends. We will order these from now on. These are amazing! Been looking for cookie dough toppings and so glad I found these! they are so popular! only wish they were cheaper tho. This is an absolutely delicious frozen yogurt or ice cream topping. It tastes just like fresh cookie dough and is the perfect sweet treat to have with ice cream. I love this cookie dough topping in cake batter flavored frozen yogurt. It is delicious and is so soft. Perfect for a cookie dough craving. Cookie dough bites taste awesome. They have a great texture and don't change that much when added to frozen ice cream like some other toppings do. These are very, very tasty bites. They taste just like real cookie dough but don't need refrigeration. Sure, they look a little like cat food but they taste great and customers love them. Fit nicely in our wall-mounted dispenser. A real crowd pleaser. Happy with how these turned out.